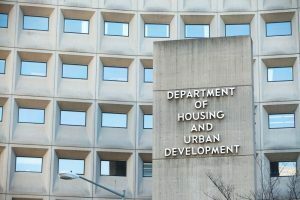 The U.S. Department of Housing and Urban Development (HUD) released a pair of new mortgagee letters earlier this week, and now FHA Commissioner Brian D. Montgomery has spoken of how these latest changes reflect his commitment to further streamlining and improving FHA’s processes and providing fewer hindrances to lenders and servicers interacting with FHA. In a statement about the upgrades, Montgomery said, “Shortly after arriving back at FHA in June 2018, I indicated one of our goals was to streamline and update our program guidelines and procedures. In parallel with the Administration’s objectives of reducing regulatory barriers.” Montgomery added that these latest letters eliminate “two unnecessary and outdated regulations that have been barriers for lenders." The first letter “eliminates the 10-year protection plan requirements, allowing borrowers to qualify for FHA mortgage insurance on high loan-to-value mortgages.” This applies to when the property was not approved for guaranty, insurance, or a direct loan before the beginning of construction if the property is less than one year old. According to the letter, this change applies to the origination of all FHA Title II forward mortgage programs and streamlines home warranty requirements for FHA single-family mortgage insurance by removing the policy guidance that requires borrowers to purchase 10-year protection plans in order to qualify for certain mortgages on newly constructed single-family homes. The second letter addresses the elimination of the regulations for the FHA Inspector Roster, deregulating the roster requirements. In order to streamline inspection requirements for FHA Single-Family Mortgage Insurance, they will no longer keep a roster of inspectors. HUD originally established the Roster to standardize the inspection process for properties with FHA-insured mortgages. Before the Roster, cities, and states developed their own building codes, which had little uniformity or consistency with each other.